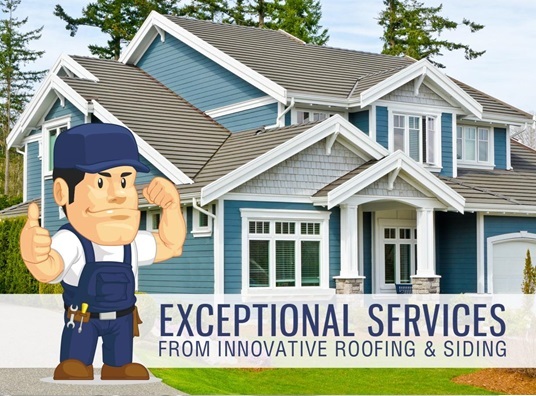 Welcome to the official blog page of Innovative Roofing & Siding! Through this medium, we will provide you with the latest updates on the first class products and services that we offer for your home. Let us begin by explaining who we are and why you can trust us to deliver the best for your home improvement projects. Innovative Roofing & Siding is the top windows, siding, and roofing company in Knoxville, TN, and its nearby areas. Our years of industry experience and steadfast commitment to your satisfaction places us at the very top of your list when you need quality products and services for your home upgrades. – Inspections, Emergency Repairs, and Insurance Claims – When your roof suffers damage from storms, wind, rain, hail or falling debris, we will be at your doorstep to provide a quick roof repair in Knoxville, TN. All you have to do is give us a call. We will also coordinate with your insurance adjuster to ensure that you receive the full compensation that you deserve. Stay tuned to our blog page for more info and updates regarding your home improvement projects, and how we can get them done. Give us a call at (865) 688-2888 or fill out our request form if you have any questions or you’d like to schedule a free estimate. We look forward to working with you!